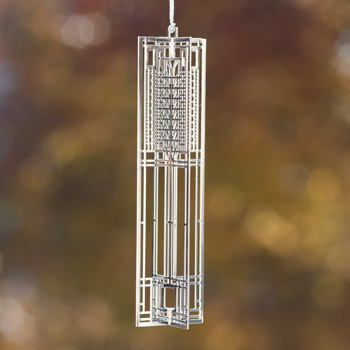 Frank Lloyd Wright's exquisite eye for detail is embodied in this elegant 3-D ornament of the windows of one of the iconic Martin house. Made of tarnish-resistant silver-plated brass. 4-3/16"l x 1-1/16" square.